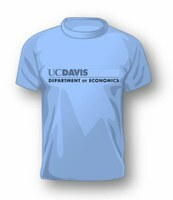 Students may obtain credit for work in economics courses taken at other institutions with which we have transfer agreements. They must petition, with course syllabi, for credits they want to transfer from institutions with which we do not have an agreement. The Economics Department (through the Undergraduate Studies Committee) reserves the right to determine which transfer credit courses will be accepted in satisfaction of the major requirements. Petitions are available in the Economics Department’s Undergraduate Office, 2216 SSH. UC Davis Study Abroad programs, designed by UC Davis faculty members, give students the opportunity to take courses for credit in other nations as part of their UC education. These courses have been reviewed and accepted for transfer from other colleges in California and in other states.